So I have to ask, if 61.5 million American’s are struggling with a mental illness, making it more common than diabetes or asthma, why is it that those people are still often afraid to discuss it? I imagine it is because there is still a stigma surrounding mental illness, making people afraid of being labeled as crazy or being told they should just get over it.I think people are afraid of being seen as weak or unable to cope. Depression, Anxiety, PTSD, OCD, bi-polar, and many more. Each of these are diagnosed illnesses. They are not weaknesses. They are illnesses. We need to start viewing them as such. It’s time to educate ourselves about how chemical imbalances in the brain determine mental illnesses. And then when we begin to see mental illness as a disease of the brain just like lung cancer is a disease of the lungs and arthritis is inflammation of the joints, maybe the stigma will go away. If you struggle with a mental illness, I commit to you that I will speak out to educate others every chance I get, starting with this blog, and I want to encourage others to join me. To begin, here are some things to look out for so you don’t offend others. “You’re so bi-polar.” To someone who simply changed moods. “I almost had a panic attack.” After someone scares you. “What are you, OCD?” When someone wants something done neatly. To people truly struggling with any one of these issues, a flippant statement devalues the seriousness of the issue they are facing and adds stigma to the illness. While you may not mean any harm don’t just assume no one will get offended by these statements. The idea behind the campaign #imnotashamed is to spread the message that mental health conditions are nothing to be ashamed of. They say, They are not a choice, character flaw, or a weakness. We are helping end the harmful stigma associated with mental health conditions. Don’t let the fear of judgment keep you from getting treatment. In my opinion the number one reason to stomp out the stigma surrounding mental illness is so that people will not be afraid to seek treatment. So many people facing mental illness are reluctant to admit they need help. 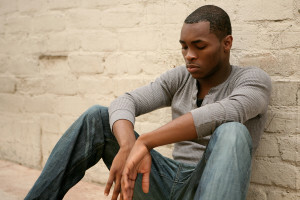 Half of the teens and young adults who have a mental illness develop their condition by the age of 14. This can be a scary and confusing time when you start to fear your own mind. PLEASE don’t let the fear of being labeled with a mental illness prevent you from seeking help. Treatment can provide relief by identifying what’s wrong and reducing symptoms that interfere with your life. If you attempt to ignore the problem, it can take over your life. Find a support group and talk to someone. If you would like to find either on-line or in person support group options, check out our list of partners or chat with a HopeCoach now. Speak Up. Don’t be afraid to open up. Being open can actually save lives. Talking about your treatment and struggles can inspire someone else to get help and show them that they are not alone in their journey to recovery. See the stigma for what it is – ignorance. People who pass judgement and believe the stigma surrounding mental illness almost always have a lack of understanding rather than information based on the facts. You know the truth. If you struggle with a mental illness, I’d love for you to share below if you have ever experienced being stigmatized? What has someone said to you that you found offensive? Please speak up and use your voice to educate others in the comments below. 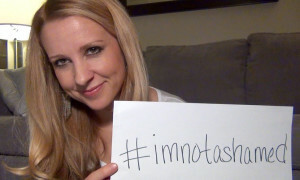 Or share your own #imnotashamed statement. It’s time to start the conversation. 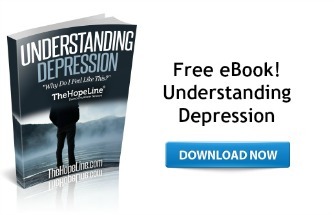 TheHopeLine offers free self-help eBooks for depression, anxiety, PTSD and more. Visit our eBook page for more. How do I help someone who hates themselves. You sound like a very compassionate friend. You could share this blog with them – https://www.thehopeline.com/5-amazing-reasons-why-you-matter You can also encourage them to chat with a HopeCoach – https://www.thehopeline.com/gethelp And keep being the kind compassionate friend to them.